I can’t believe it’s June already. Not even kidding – where does the time go?! Summer is here and as usual, KC has loads of fun things to do. V&P are busy playing shows out on the road and here in KC, creating workshops, writing music, AND stretching out in new and interesting ways. Change is good and we’re changing it up this summer. Read about the new things we’re doing below, plus get the highlighted shows of our summer and early fall. Don’t miss these KC special events – mark your calendar now. 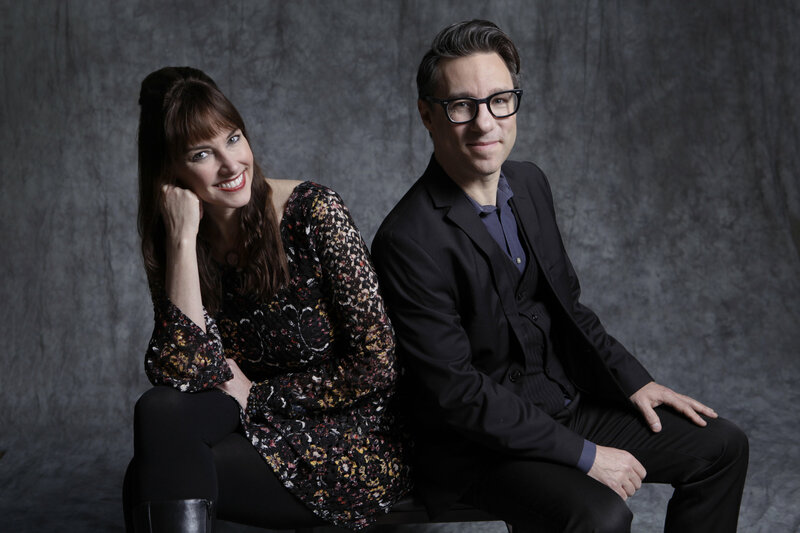 We’re always adding shows and tour dates, so check our website often for changes, or better yet – like our page and you’ll receive all the scoop and insider fun. Summer’s on, friends. Stay cool. Drink lots of water. Wear sunscreen. Get out there into the sunshine and enjoy your life. Happy summering! And just for fun and to get you in the mood…here’s a new video we made starring YOU – our fans! Jeff (Victor) has formed a new jazz trio! 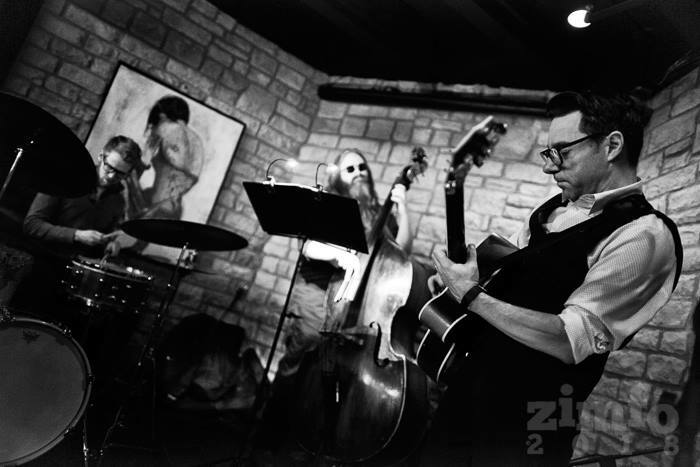 The Jeff Freling Trio has been making waves around Kansas City for the last few months. The trio features Jeff’s unforgettable guitar style with bass and drums playing Jeff’s new original compositions. What does it sound like?! How about, “Bachelor-A-Go-Go” meets vintage spy style tunes with a deep pocket funky groove. Oh, and it’s jazzy. Think: Marc Ribot and Les Paul having cocktails with John Scofield. Want to catch a show? Find their schedule HERE. Erin (Penny) has received her real estate license! Erin is currently working with award-winning Kansas City developer Butch Rigby on the vibrant 63rd Street Corridor commercial development project. Erin is Chief of Client Services and Leasing and is excited to be part of this revitalization project. Learn more HERE. V&P are traveling this summer to fests and venues in CO, IN, IA, IL, MI. Do you know folks in those areas? Please invite them to our show – we’d love to meet your people. Recommending us word of mouth is still the very best way for us to connect to new fans! And we bet your friends are cool. 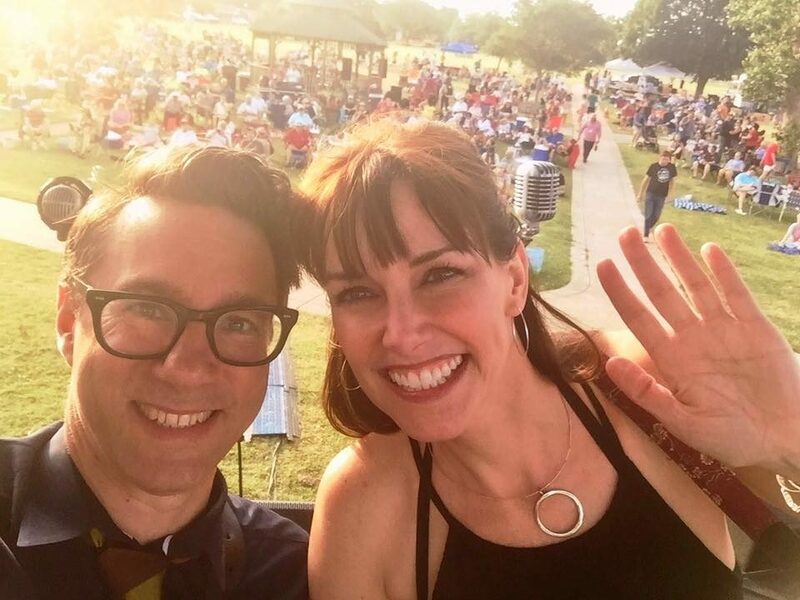 It’s no secret that we love to share our love of music, ukulele, guitar, songwriting, and performance with others through workshops and teaching across the US. 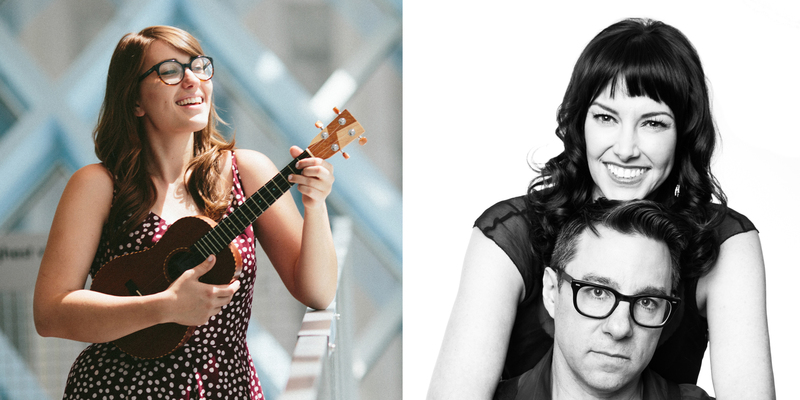 And now we’ve teamed up with our good friend and ukulele songstress, Danielle Anderson of Danielle Ate the Sandwich and created a brand new weekend event focused on performance and songwriting for ukulele players! We are SO EXCITED to bring this to you – we’ve been working on it for months. We’re holding the event in gorgeous Fort Collins, CO, attendance will be very limited, and tickets have just gone on sale now. Interested? Check out our new website HERE.